These are not my mums but they were such a nice color I took a shot of them. 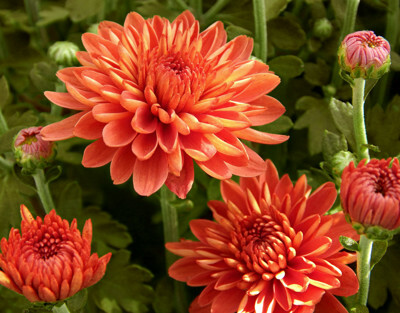 They were truly more coral than orange like you usually see in mums. You can tell that color by looking at the buds. An apt name for these beauties, Kathy because of the similar color of red coral. Wonderful addition to your huge series of floral images! Oh, they are simply stunning !